Several times a year, I make birthday cakes for friends or family members. 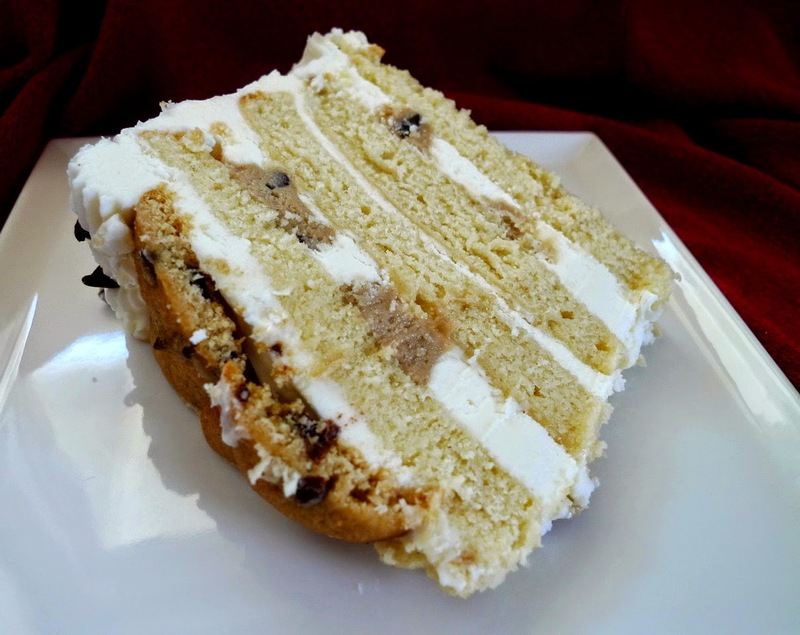 Last year, when it was my friend's birthday, I asked her whether she wanted a s'mores cake or a chocolate chip cookie dough one. She chose the s'mores. 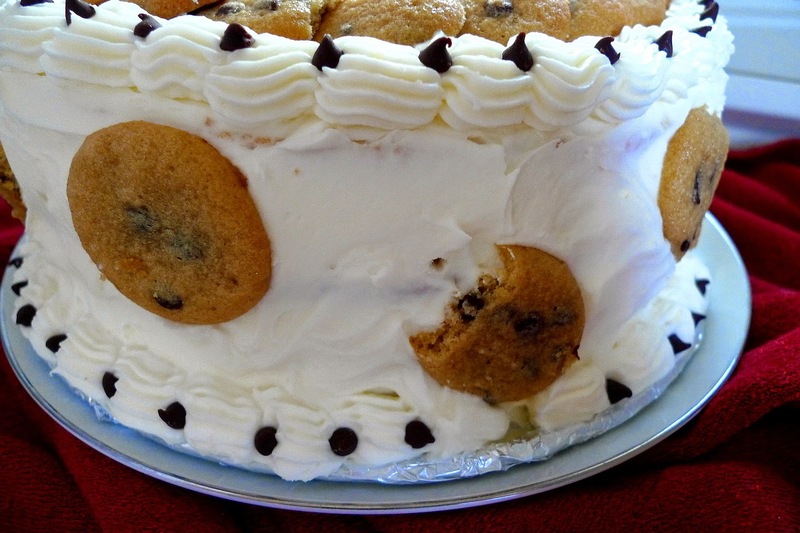 So, this year, when her birthday rolled around again, I decided that I'd do the chocolate chip cookie dough one. For the decoration on top, I decided to make some mini chocolate chip cookies and spiral them on top. 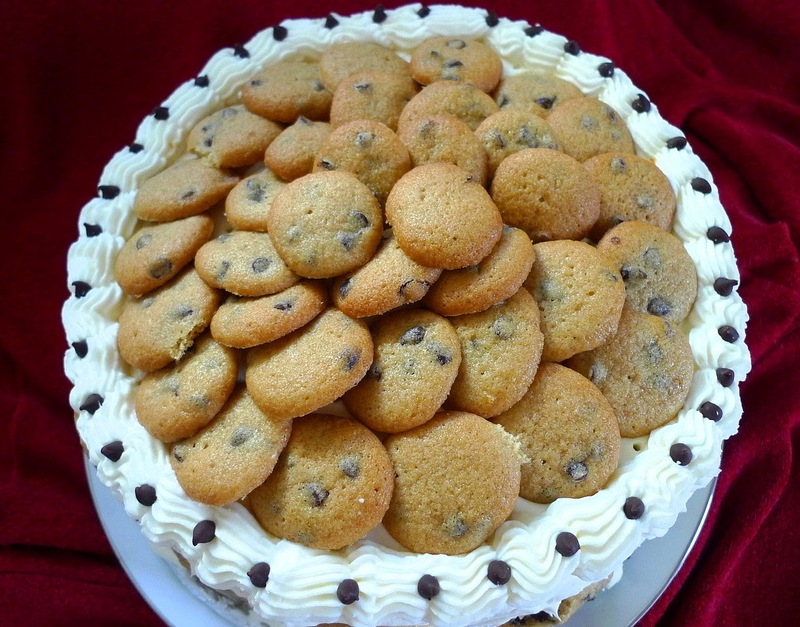 You can use your favorite chocolate chip cookie recipe if you want. I used the Tollhouse Cookie recipe since it's quick. To make them mini sized, I found that I had to scoop the dough no larger than the size of marbles. Honestly, I've never made such tiny cookies in my life. I was worried they might be too small, but they were just right. Baking them for 11 minutes makes them a little crisp, but after sitting on top of the frosting for a while, they will soften up. And, baking them firmer to begin with also ensures that they won't fall apart as you lay them on top of each other. The cake was amaaazing! I was absolutely thrilled with the way that it came out and the way that it tasted. My only change would have been to put even more cookie dough balls into the frosting middles. But, even so, this cake was enjoyed by all. Cream the butter and sugar until light and fluffy. Beat in the eggs and vanilla until well combined. Combine the flour, baking powder, and salt, and sift the mixture. Mix in half the flour mixture, then all the milk, then the rest of the flour mixture until well combined. Divide into two greased and floured (I also line the bottoms with parchment paper) 9-inch round pans. Bake at 350F for 30 minutes, or until a toothpick in the center comes out clean. Let cool in pans for at least 10-15 minutes before removing from the pans. Then let cool completely on wire racks. Cream the butter with the sugars. Beat in the milk and vanilla. Add the salt, baking soda, and flour and mix well. Stir in the mini chocolate chips. Chill the dough in the freezer until firm, about 30 min. Once chilled, form the dough into marble-sized balls and keep them chilled until ready to use. Beat the butter in a stand mixer until creamy. Beat in the powdered sugar until light and fluffy. Mix in the vanilla and add milk as desired until you reach your desired consistency. Cream the butter and sugars. Beat in the egg and vanilla. Mix in the flour, salt, and baking soda. Stir in the chocolate chips. Chill for 30 minutes in the freezer until firm. Form the dough into marble-sized balls and drop onto a parchment paper lined baking sheet. Bake at 350F for 11 minutes until golden brown. Let cool. Slice each cake layer, horizontally, into two layers. Place one layer on a cake plate and spread with 1/5 of the frosting. Stud with half of the mini balls of chilled cookie dough. Place the second cake layer on top and spread with 1/5 of the frosting. 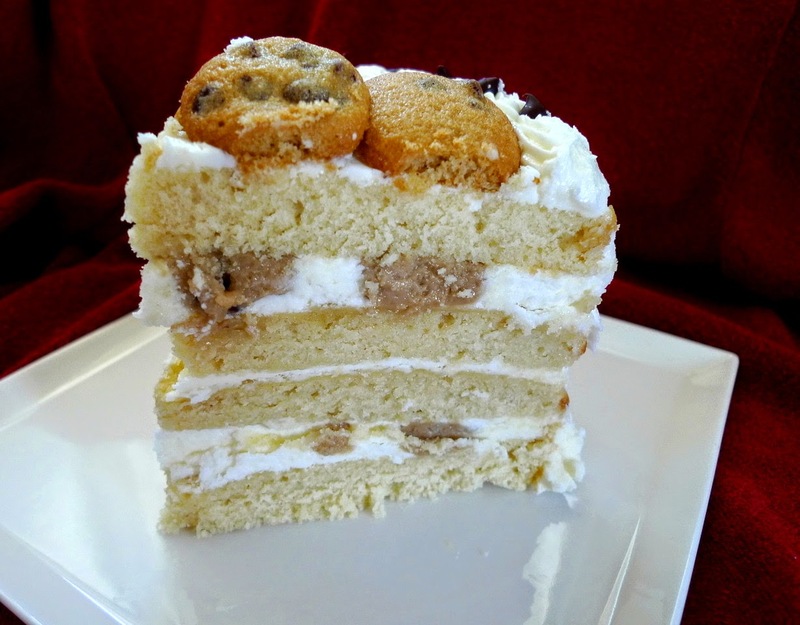 Place the third cake layer on top, spread with 1/5 of the frosting and stud with the rest of the mini cookie dough balls. Place the fourth cake layer on top and cover with the rest of the frosting, saving about 1/2 cup of frosting for decoration. Once the cake is completely frosted, use the reserved frosting to pipe a decorative border around the top and bottom of the cake. 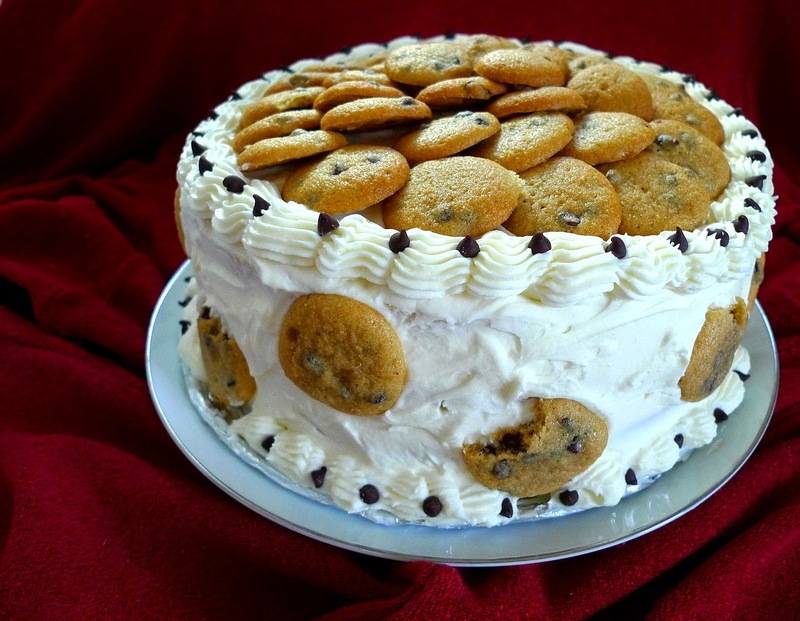 Take the baked chocolate chip cookies and spiral them on the top of the cake. 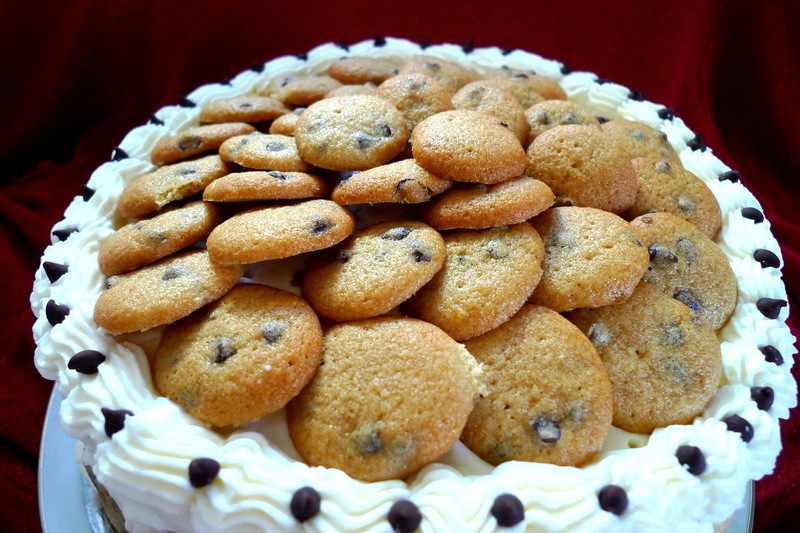 You can also use several of the cookies and place them around the sides of the cake, if desired. After a good long break, it was time to get back into the swing of things with the Secret Recipe Club. And, to make the new year even brighter, we're starting it off with some new members. Yay! It's always a lot of fun to be able to "meet" new people via their blogs and to have a fresh batch of recipes to choose from. Speaking of recipes, this month I was assigned to the blog, "Colie's Kitchen," and holy smokes, she has a TON of recipes. It was like an encyclopedia's worth of gastronomic goodies. I've often had trouble narrowing things down in the past, but this time, the task seemed almost impossible. 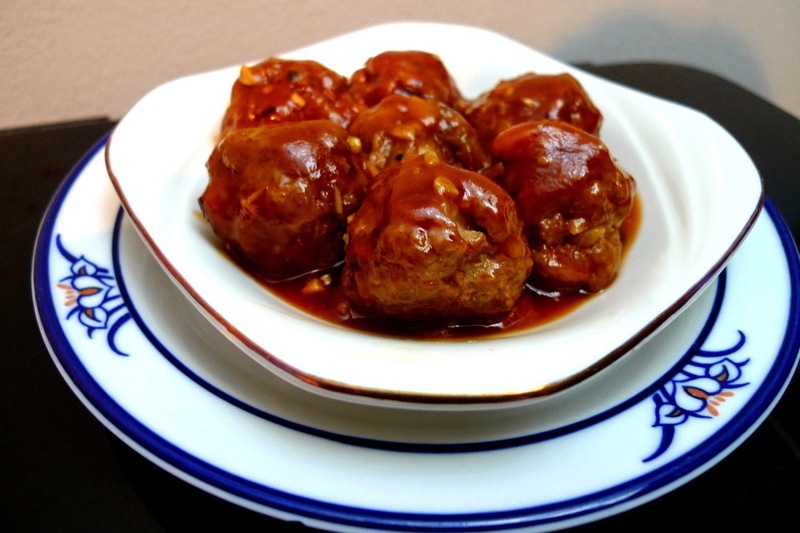 What about her Honey Garlic Glazed Meatballs, Beef Asian Meatballs, or the Meatball Sub Casserole? My gosh, that's just the meatballs! Then, I began looking at her chicken recipes. There was Salsa Chicken Casserole, Crustless Pot Pie Over Biscuits, and Mushroom Spinach Chicken. Can't forget the veggies either: Sesame Roasted Carrots, Parmesan Roasted Sweet Potatoes, and Garlic Balsamic Glazed Mushrooms. 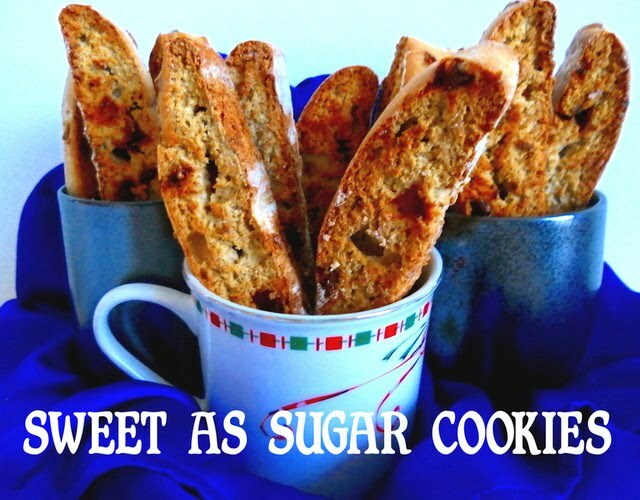 At the end of this fine, virtual feast, I came to dessert - Nilla Wafer Banana Bread. Oh, I have died and gone to foodie heaven. But, who is "Colie" of Colie's Kitchen, you ask? Let me introduce you! Her name is Nicole and she is well-rounded in every sense of the word. Mother, wife, college student, couponer, crafter, scuba diver, snorkeler, and, of course, cook. She even plays ice hockey. Yes, she does it all! I highly encourage you to visit her blog and see all the delicious goodness in person. 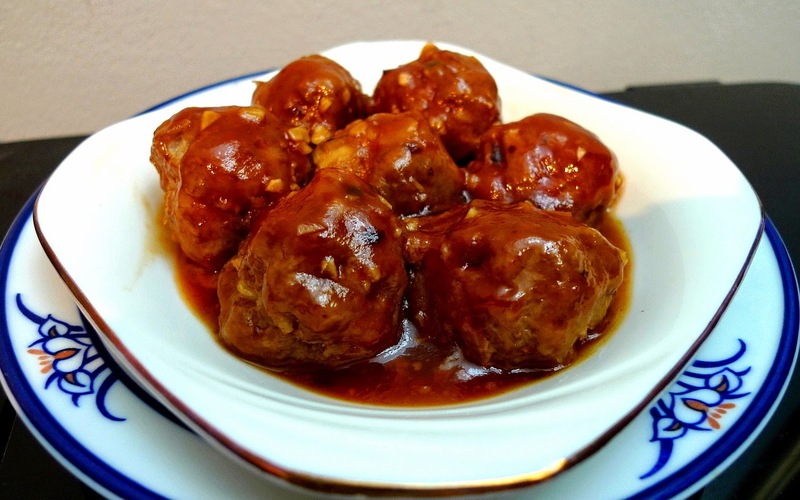 It was a tough job narrowing down my recipe list, but I finally decided to go with the Honey Garlic Glazed Meatballs. They looked simply irresistible. And believe me, they were! The sauce was slightly sweet, tangy, and finger-licking good. I added some cayenne pepper to kick things up a notch too. There was enough for my dinner one night and, even better, enough for leftovers the next two days too. I enjoyed every single meatball and wished I had more of them when they were gone. I'm definitely going to add this to my list of keepers. Thanks Colie for your amazing meatballs! Combine the ingredients for the sauce and simmer for 5 minutes. Add the meatballs and cook until nice and hot.